Anyone who had the pleasure of growing up in the late 80’s and early 90’s will undoubtedly hold a place in their heart for the old video games that ruled this earth. Back then, arcade machines didn’t have a separate slot for notes and games weren’t just about killing people. It was all about having some fun and you didn’t need a £200 console, a £20 HDMI cable and an ongoing subscription to do so! The simple fact is that no matter how much technology seems to advance, retro gaming will always be better. Why? I’m man enough to admit that the 90’s did have its fair share of Streets of Rage rip offs, as well as countless Sonic The Hedgehog titles that didn’t really seem to break from the mould until 1996! However, the difference between now and then is that back then they weren’t afraid to explore new ideas and release the odd game unlike no other. Just when you grew accustomed to the traditional Squaresoft RPG battles Final Fantasy and Bahamut Lagoon threw at you, delivered to your home was games like Secret of Mana and E.V.O. Search for Eden. Just when you thought there were too many Alien 3 and Robocop vs Terminator rehashes, along came Rocket Knight Adventures, Gunstar Heroes and Ristar to give you something fresh and exciting. Unfortunately the video games of today are very difficult to tell apart and whether you’ve got destructible environments or more interactive cutscenes than you can shake a stick at, the end result is that you’re still playing another FPS with Russian enemies. Developers seem to stick with what they know sells instead of trying out something new with all that technology available. Don’t get me wrong, I enjoyed Elder Scrolls V, but isn’t it just Fallout 3 with dragons, swords and pretty scenery? #2 Games were harder, much harder! Sure, there are a few titles around today that are able to provide you with a slight challenge if you’ve got the patience to memorize the AI, but generally the video games of today aren’t a patch on the terror we faced in the 90’s. Games like A Link to the Past had us drawing out our own maps for dungeons instead of looking at a Youtube gameplay, whereas titles like Shinobi and Megaman required an insane amount of skill to master. Unfortunately today’s developers are almost too scared to throw a challenge your way. So instead they concentrate on creating immersive visuals and more than enough exploration. Yes, the 90’s were plagued with a few God-awful accessories, but video game consoles didn’t exactly rely on them. Almost every game could be played and completed without heading over to the shops for yet another waste of space, plastic accessory. If you haven’t worked it out yet, this point is mainly directed at Nintendo. Shame on you guys, I used to have so much respect for you – that was until you released a console that requires you to pay £10 for a wireless plastic wheel and then another £10 for a plastic “nunchuk”. Adding insult to injury is the circle pad attachment for the Nintendo 3DS – essentially equipping the console with yet another piece of plastic that it should have already had to begin with! If you’ve had the mind-numbing pleasure of sitting through Fable III’s loading screen on more than one occasion, or you’ve played the awesome Skyward Sword and been irritated by how many times you have had to sit patiently and wait, then you’ll understand this one! Back in the day, you could slam in a cartridge, turn your console on and away you go. No loading screens every time you enter a new area, just pure fun all day long – sigh, if only life was still that simple. Cast your mind back to the mid 90’s. Sony had just released their first PlayStation which was rivalled by the Sega Saturn, Nintendo ruled the handheld gaming market after competing with the Game Gear and older consoles weren’t completely forgotten about. Kids still wanted the old Sega Mega-Drives and Super Nintendo’s, older kids were still dusting off their Master System’s and NES consoles, whilst a select few eagerly anticipated the next Atari Jaguar release or PC game. Unfortunately life just isn’t the same anymore. 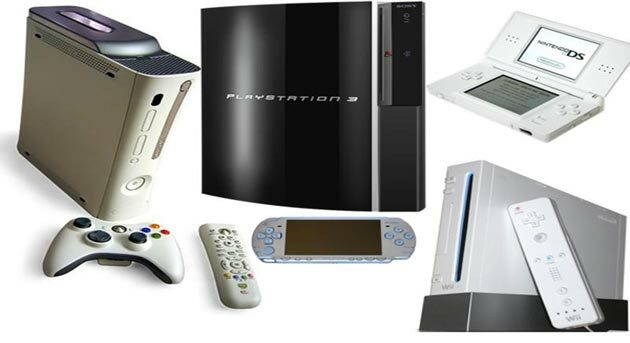 In a race to outdo each other, the only consoles that provide you with any sort of entertainment are the Xbox 360 and PS3. If you’re partial to some shovelware then you leach onto the Wii too. Of course, let’s not forget those homes away from homes – the arcades. 50p, 20p, hell – even 10p was enough for a game of the latest Mortal Kombat or Street Fighter in certain places. 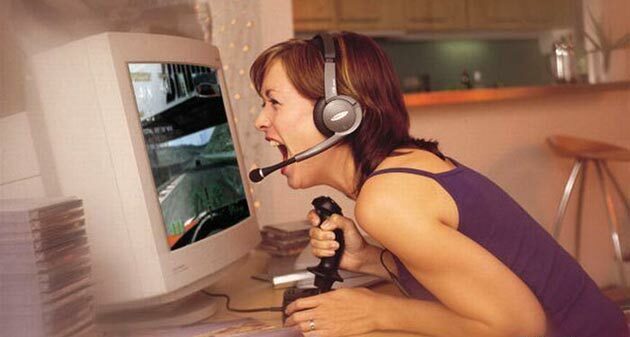 Ever wondered why amusements are usually barren around the video games section these days? Perhaps it has something to do with the limited stock of games, or maybe the fact that each one is charging £2 a go? Come to think of it, this probably has something to do with the ability to play games at home with your friend, whilst being over 10 miles away from each other – whatever happened to playing 6-player X-Men in the arcades, shoulder to shoulder. There are just a few developers, who try something odd. I agree with a lot of your points, but number 2, about games being much harder than current games. Have you tried Dark/Demon Souls? I’ve known a couple of my friends who have gotten so irritated from dying and starting again that they just had to walk away for a few mins. They are unforgiving games that don’t tolerate mistakes. The slogan of the games are pretty much ‘prepare to die’. Good article though, I really agree with the first point, the price tag on video games is so expensive now that you really want an original game, or at least enough to do.